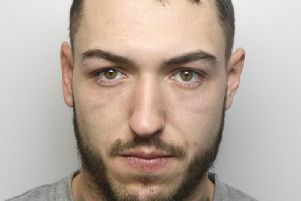 John Harvey was stood in a empty wooden potato box which was being lowered by a forklift truck at Church Farm in Darrington near Pontefract when the box slipped and he fell around, the jury at Wakefield Coroner's Court heard. Returning the accidental and narrative verdict, the inquest jury foreman, said: "John was involved in an accident, falling out of a potato box suspended approximately 6ft in the air on to a pallet and sustained serious head injuries leading to his death." The inquest was told the potato box, which the jury heard weighed more than 100 kilos, then struck Mr Harvey on the head during the incident at the pig and arable farm on Philips Lane on October 20 2017. Mr Harvey, of Linden Terrace, Pontefract, was flown by air ambulance to Leeds General Infirmary where he was pronounced dead three days later. The jury was told Mr Harvey had decided to carry out a non-urgent repair of the winch motor of a ventilation shutter in the roof space of a potato store at the farm. He stood in a 6ft long and 4ft wide potato box placed on the tines of a forklift truck and asked a farm worker to operate the truck to lift him up around 15ft to where he needed to work. The potato box was not secured to the forklift truck's tines and slipped while he was being lowered to the ground by a second farm worker, the jury inquest heard. The farm had a piece of equipment called a man riding cage, which was designed for working at heights and could be safely attached to a forklift truck. Mr Harvey had previously used the man riding cage to work at heights at the farm and the jury was told it was not known why he had decided to use the potato box on that occasion. Farmer Peter Batty told the inquest close friend Mr Harvey had done electrical work at Church Lane Farm for 45-years and started as an apprentice when his (Mr Batty's) grandfather ran the farm. Mr Batty said Mr Harvey was a self-employed electrical contractor who worked at the farm three or four times a month and paid regular social visits.